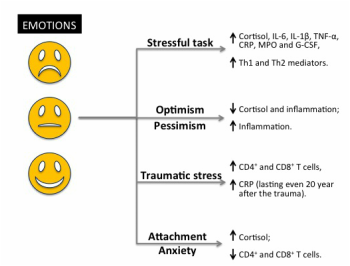 ​This web page summarise the most recent studies on the effects of different types of emotional states on the immune system and we have also explored the effects of mood modulator approaches on the immune response. ​Could massage boost your immune system? While for some it's an occasional indulgence, it's also been claimed that massage can help a whole range of conditions, from back pain and sore muscles, to alleviating the side-effects of some cancer treatments.But while massage may make us feel good, can it really have an impact on our health? We teamed up with Prof Fulvio D’Acquisto, an immunologist from the University of Roehampton and the Bodyology Massage School .Fulvio came across research which found that massage boosted the number of white blood cells in patients suffering from HIV, a disease that causes a reduction in a type of white blood cell known as T Lymphocytes.To see if massage might have the same effect in people without serious immune conditions, we invited 7 volunteers in for a massage. First we took a blood sample from each of them and analysed it for the number of T Lymphocytes present. This served as a baseline reading. Next we asked them to lie down and relax for an hour, before taking another blood sample. 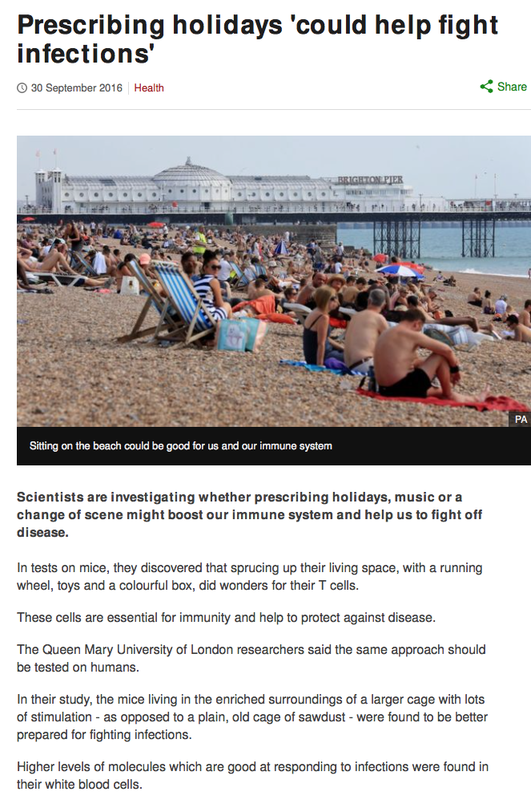 This was so we could be sure that when we tested their levels after a massage, any changes in T Lymphocyte count were due to the massage itself, not simply the effect of an hour’s relaxation. Then came an hour’s massage. Immediately after the session, we took a third and final blood test. Compared to the baseline results, the results from the group after the massage showed a 70 per cent boost in white blood cells. This was also a higher reading than we got from the volunteers simply relaxing. The immune system is complex, and it’s not simply the case that increasing the white blood cell count in a person who already has healthy levels will improve their health. However T-lymphocytes do perform a wide array of functions in the body involved with growth and repair, which could in part explain why massage has been reported to help with so many conditions. And here is the picture of the "holiday suite" we have used for our studies. Fully loaded with exercise machine (wheel), relaxation hiding space (paper tube), a meeting hub (castle) and plenty of sawdust (sand beach) to roll into. T cells are known to be plastic and to change their phenotype according to the cellular and biochemical milieu they are embedded in. 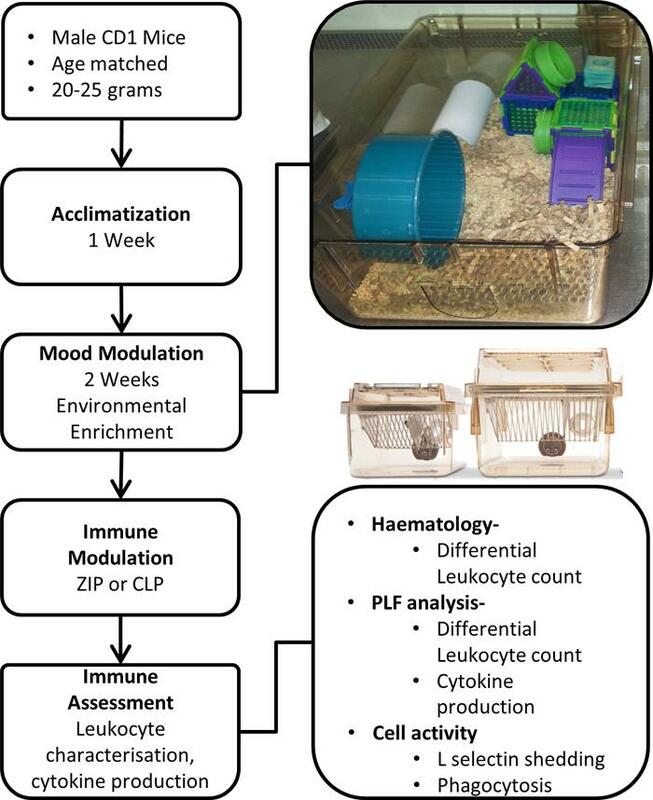 In this study, we transposed this concept at a macroscopic level assessing whether changes in the environmental housing conditions of C57/BL6 mice would influence the phenotype and function of T cells. Our study shows that exposure to 2 weeks in an enriched environment (EE) does not impact the T cell repertoire in vivo and causes no changes in the early TCR-driven activation events of these cells. Surprisingly, however, T cells from enriched mice showed a unique T helper effector cell phenotype upon differentiation in vitro. This was featured by a significant reduction in their ability to produce IFN-γ and by an increased release of IL-10 and IL-17. Microarray analysis of these cells also revealed a unique gene fingerprint with key signaling pathways involved in autoimmunity being modulated. Together, our results provide first evidence for a specific effect of EE on T cell differentiation and its associated changes in gene expression profile. In addition, our study sheds new light on the possible mechanisms by which changes in environmental factors can significantly influence the immune response of the host and favor the resolution of the inflammatory response. 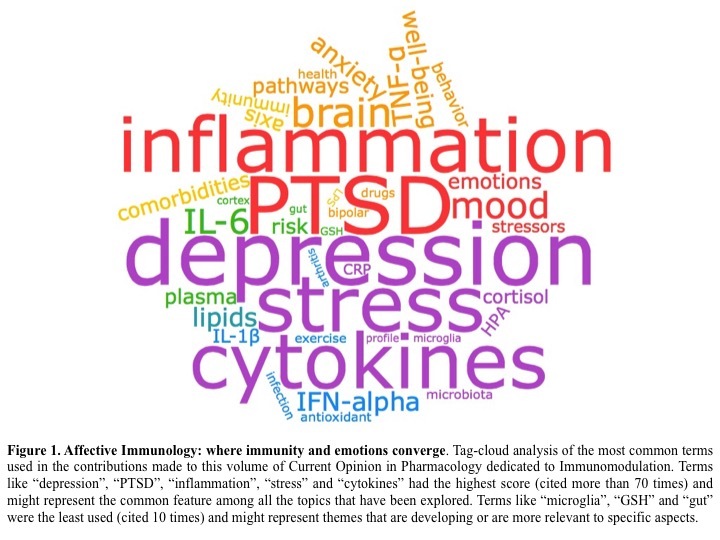 (We have recently coordinated the publication of a volume of Current Opinion in Pharmacology dedicated to the understanding of the link between emotions and immunity in the context of pharmacological therapies for immune diseases or mental disorders. 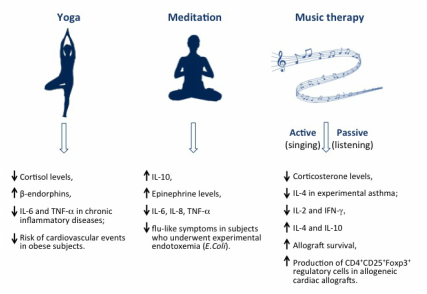 The editorial overview (link plus Figure below) provides a succinct summary of all the contributions to this volume and some comments on the potential implications of current findings in this field.